We’ve gone through the CPAP.com catalog to find the best CPAP masks of 2019. We’ve established a 100 point grading scale for each mask, broken down into 10 categories. Each category has a scale of 1 – 10, with 1 being the worst and 10 being the best. All the categories are added together, forming a final score which determines its ranking. 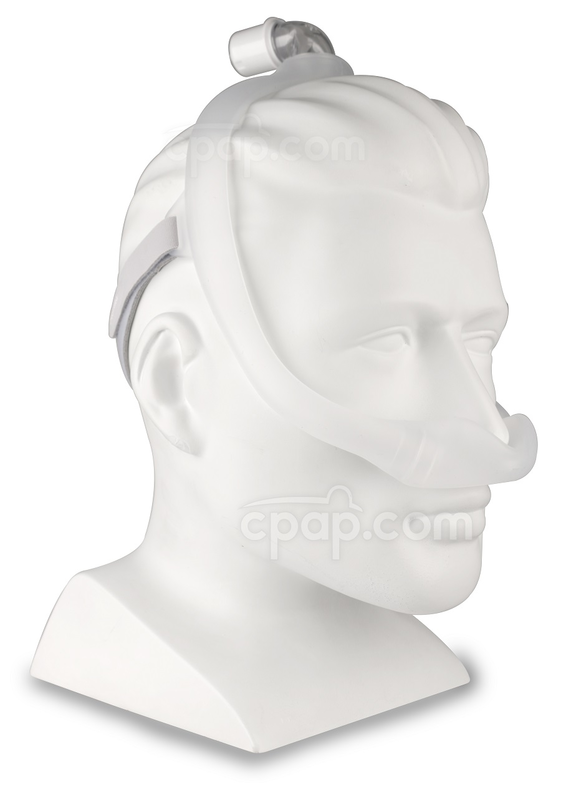 CPAP masks come in three basic styles: full face, nasal pillow, and nasal. Full face masks typically cover the nose and mouth, nasal pillow masks provide air directly to the nostrils, and nasal masks provide air to the base of the nose. 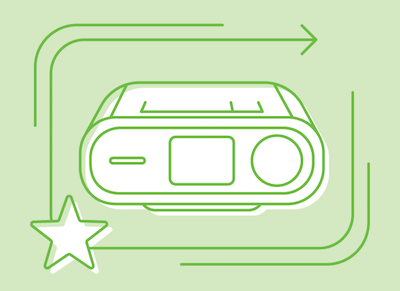 We’ve written an article that covers the different types of CPAP masks in greater detail. Check it out if you’d like to learn more. If you feel like you know the basics already, you can skip the intro and dig in! Now that we’ve discussed the three basic types of CPAP masks, let’s examine the six best CPAP masks and discuss the benefits of each. The AirFit P10 is one of the most intuitive masks to use, and only has one set of headgear straps that go over the back of the head. The P10 only has a few pieces, and it’s easy to take apart and clean. For customers looking for a simple mask, there’s not one much better than this. While not the quietest mask, the P10 earns high honors here too, thanks to ResMed’s innovative design. The short tube design of the AirFit P10, is lightweight and flexible. Using a short tube allows for movement and flexibility, a perfect fit for the needs of an active sleeper. Nasal pillow masks, in general, are minimalistic but the P10 is one of the most minimally intrusive nasal pillow masks in the market. The pillows for the P10 are small and compact, and make for a good seal around the nostrils. The headgear is soft, and provides minimal contact with the face. Priced at around $100, this isn’t the least expensive nor is it the most expensive. Of all nasal pillow mask, ResMed has built one of the smallest and most lightweight in the category. Mask is only available in small, medium and large sizes. The “For Her” version is available in x-small, small, and medium sizes. 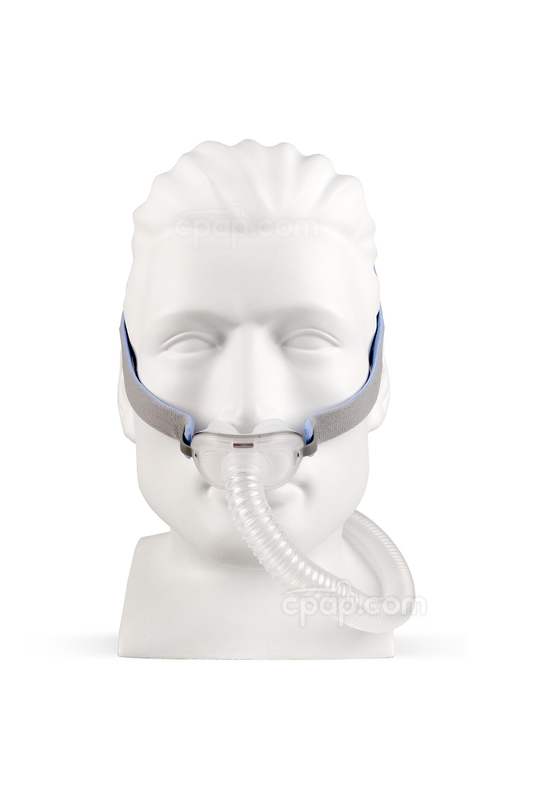 the AirFit P10 Nasal Pillow CPAP Mask. It is 50% quieter than the Swift FX, which is already a silent system itself. A lightweight and simple design works well for those who move around a lot at night, and the flexible nasal pillows and QuickFit elastic headgear deliver comfortable operation and a stellar fit. A unique feature with the P10 line is the AirFit P10 For Her Nasal Pillow CPAP Mask. This option is custom-designed for the unique physiological needs of women. Both nasal pillow CPAP masks provide air directly to each nostril for easier breathing during sleep. The hose connection is on top of the head, and it has a 360-degree swivel, allowing for unrivaled freedom of movement. With the hose connection on top of the head, it can be difficult to get used to at first. The frame for this mask is hollow, meaning the air passes through it and as such the frame will need to be submerged in water when cleaning it, making it a little more involved to clean than some other masks. The mask is quiet, diffusing and dampening most of the sound. Of the masks on this list, none are better for active sleepers than the DreamWear series of masks. If you’re a mouth-breather, don’t worry. Philips has a DreamWear for full face users too! This mask has a wide open field of vision, one of the widest on this list. You can do almost any visual activity with this mask. The DreamWear’s silicone cushion is among the most comfortable. Some customers reported it is harder to seal than other masks, which keeps it from getting a perfect rating in this category. Due to the unique frame design, the headgear is minimal and comfortable for many users. With a price of around $100 it’s right in the middle of the pack when it comes to cost. The DreamWear is the only one of its kind, with a hollow frame design and unique hose connection. This is the most unique mask in our review. Mask is available in small, medium, large, and wide sizes. It’s also cross-compatible with the other types of DreamWear mask. Philips Respironics is a leader in CPAP equipment, and their DreamWear series of nasal CPAP masks are comfortable, ergonomic and effective. The DreamWear Nasal CPAP Mask offers a top-mount CPAP hose, which minimizes hose contact with the face and keeps nighttime interruptions to a minimum. The mask uses a tube-like frame for superior comfort and sealing effect, while the fully adjustable headgear ensures a custom fit. This mask is great for back sleepers, too. The DreamWear family of CPAP masks also comes in Full Face and Nasal Pillow versions, so this is truly a mask that every CPAP user can enjoy. The headgear is easy to adjust and most of the detachable parts are color coded, so it’s easy to figure out where the different parts go, which is very user-friendly. The mask has minimal parts, but it’s not the easiest out of the other masks on this list. The short tube design for this mask makes it easy to move around during your sleep, and is good for active sleepers. This mask has a wider field of vision, but for nasal pillow masks this has the widest footprint of any mask on this list. The cushion is designed for comfort, but it’s also big compared to some of our other nasal pillows. The headgear is simplistic, and has minimal touchpoints on the face. Priced at around $90, this CPAP mask costs less than many of the other masks on our list. The design isn’t as innovative as some of the others on this list, which is the reason for the 6 rating. This mask has x-small, small, medium, and large sizes, and is great for those with small faces. The Brevida Nasal Pillow CPAP Mask is a relative newcomer to the CPAP mask market, and a lot of people are excited about it. It’s a mask that features comfortable, low-profile nasal pillows, that are designed for minimal contact with the face. It includes cushions of several different sizes of cushions, so that no matter what size nose you have, there’s a comfortable cushion for you. It also comes with easily adjustable headgear. Because good CPAP mask care requires disassembling the mask from time to time for cleaning, the Brevida has all the connection points color-coded, so that you can easily put it back together. The Brevida Nasal Pillow CPAP Mask also makes use of so-called “short tube” design, which gives the wearer more flexibility and freedom of movement. The headgear magnetic clips make it easy to take on and off, and it’s not that hard to adjust. It’s not the easiest mask on this list to use, but it’s one of the better ones. The ResMed AirFit F20 has headgear straps, the frame, elbow, and cushion. The parts disassemble easily and make for easy cleaning. The ResMed AirFit F20 features the QuietAir Elbow, which dampens most of the noise associated with the mask. This helps reduce the sound of the exhaled air to where the mask can be whisper quiet. The F20 makes use of the Quiet Air Elbow which allows for some movement, but the design of the mask would not accommodate sleeping on the stomach, should you wind up in this position. It should be noted that full face masks, in general, don’t do well for active sleepers. The F20 does a good job of keeping most of the bulk away from the eyes and your field of vision, allowing you to see more than what you’d normally be able to see. It’s not the most wide-open full face mask on the market by any means, but it does a good job of allowing you to be able to see more than you would with a typical full face mask. The cushion on the F20 creates a solid seal and also provides a lot of comfort, creating a firm but reliable seal. The soft and plush headgear is the best in class when it comes to comfort. It also doesn’t require a forehead strap which will help reduce the appearance of red marks and help make for a much better overall experience. This mask is one of the more expensive ones, but you get what you pay for in this case. The ResMed F20 is one of the best CPAP masks in the category. It’s evident that ResMed is trying to minimize some of the annoyances people typically find with full face masks, and they’ve clearly listened to their customers in this case. The mask solves some problems that others don’t, especially with a lower profile cushion and magnetic headgear clips. The mask is only available in small, medium and large sizes, and doesn’t have special fitting needs for wide or petite faces. 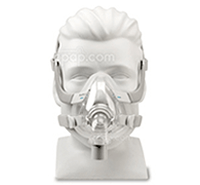 The AirFit F20 by ResMed came out a few years ago, and remains one of CPAP.com’s most popular full face masks to date. While it covers the bridge of the nose, the AirFit F20 does a good job of minimizing the bulk found on some other masks. It features a lower profile cushion, which is better for people desiring a more open field of vision that allows for TV watching or other pleasurable bedtime activities. The F20 mask also works well with the AirMini AutoSet CPAP machine and has a special adapter that allows you to connect it to the AirMini’s specialized tube. It’s also less claustrophobic than other full face masks of the same style. It’s a full face mask designed for comfort, one that also satisfies a number of lifestyle needs, and doesn’t have a traditional forehead support, so there are fewer touchpoints. Its lower-profile cushion and comfortable headgear straps with magnetic clips make it easy to get on and off. Cushion covers the bridge of the nose. Not ideal for people that wear glasses. The Swift FX only has two adjustment points on the mask, making it one of the easiest masks to adjust. The Swift Fx uses an unconventional design, venting exhaled air out of the elbow. This is great at making the Swift FX quiet, but it’s also a little more difficult to clean. One of the biggest selling points for this mask is that it’s very quiet, one of the quietest on the market today. This mask allows for a lot of freedom of movement, and it’s great for active sleepers. It’s not the best mask for active sleepers, but it’s one of the best. This mask provides for a wide field of vision, allowing someone to do almost any visual activity while falling asleep. The cushion for the Swift FX is comfortable and reliable, providing a solid seal and quiet operation. The silicone frame can be kind of uncomfortable, but ResMed has a solution. The mask comes with cloth Soft Wraps to make it feel soft to the touch when worn on the face, which is why it still earns a high mark for comfort. Priced at around $100, this isn’t the least expensive nor is it the most expensive. For what you get, it’s very reasonably priced. The Swift FX has one of the most unique designs of any mask in our catalog, the quiet venting on the elbow is a very unique solution to a problem of noise and partner irritation. Mask is only available in small, medium and large sizes. The “For Her” version comes in x-small, small, medium, and large sizes. The Swift FX Nasal Pillow CPAP Mask offers adjustable and flexible pillows, and even comes in a model designed specifically for women. The soft fleece backing on the silicone headgear keeps the unit in place, while the way the entire unit fits the wearer’s face almost makes it feel like the CPAP mask isn’t there. Customers like the fact that the venting is on the elbow, out and away from the wearer. This helps provide comfortable relaxation for both you and your bed partner. It’s also good for active sleepers and people that are interested in a wide open field of vision. This makes it one of the most popular masks on the market today, and it’s a reason many people buy this mask. Exhalation Ports are on the Frame, venting air away from the user. This mask has forehead support, meaning it has four points to adjust the headgear, more than some other models. There’s a lot of moving parts to this mask, but the Gel cushions provide a lot of comforts that people seem to enjoy. The ComfortGel Blue has some noise diffusion, so it operates quietly, though not as quiet as some more modern masks. This mask has a lot of bulk to the center of the face and forehead and is not recommended for active sleepers. This mask covers the bridge of the nose and obstructs the field of vision. For people that want to read or watch TV, this mask is not recommended. The gel cushion featured on this mask is one of the most comfortable around and most users like it. Many customers say comfort is the best feature of this mask. The headgear has a forehead strap and a forehead pad that anchors the cushion. Despite the extra equipment, the forehead strap is very comfortable, with customers especially liking the forehead pad. This is one of the least expensive nasal masks on the market. The ComfortGel Blue is a unique blend of comfort, stability and of course, price, creating a CPAP mask that a lot of people seem to like. Mask is available in petite, small, medium and large sizes. The ComfortGel Blue Nasal CPAP Mask is extremely comfortable thanks to the improved gel cushion technology used throughout. A combination of a gel cushion and a silicone flap system improves performance and enhances comfort at the same time. Premium forehead pads and high-quality headgear keep the unit in place with ease, and the System One Resistance Control feature ensures reliable pressure when used with a variety of CPAP systems. Many people go with the ComfortGet Blue Nasal CPAP Mask because of the low price, and the mask doesn’t disappoint. What Makes These Masks the Best? We’ve developed a rating scale that ranks 10 characteristics of the masks listed here on a scale of 1 – 10, with a score of 1 being the worst, and a score of 10 being the best. 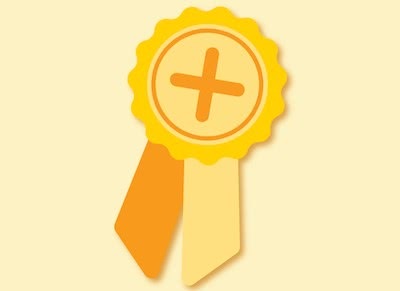 Our score is based on a review of product features while looking at feedback from customers. We then assign a score to each category, and when complete, we add up the scores from all categories and assign a composite score (out of 100). Want to take a deeper dive into CPAP masks? We’ve written a comprehensive guide that answers most of your questions regarding CPAP masks. We’ll introduce the different types of masks, and answer many of the most common questions. 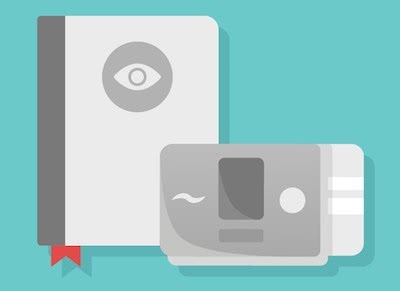 For the latest news, information, and deals about everything CPAP, sign up for the CPAP.com newsletter! The absolute best CPAP mask you guys sell is the Tap Pap. I’ve been a CPAP user for 30 years and it’s far and away the best mask I have ever used and I’ve tried a lot. Why not give us a writ up and comparison to the ones on this list? Thank you for sharing. We are very happy to hear about your positive experience with the TAP PAP Mask. Perhaps we will! bruce , is this difficult to get used to, do you have issues will leakage? i read reviews that it leaks a lot… was the mouthguard hard to use? is it hard to adjust each night? A couple of comments. 1) I can barely see the very light gray font color of this comment. And that is AFTER cataract surgery. 2/ The photos on the website show clear masks on a white mannequin. I can hardly see that, either. No clue what the masks look like or how t hey fit. So, CPAP.com is a useless site for me. Thank you for the helpful feedback. We do our best to make our services accessible to everyone, so we are very sorry about this negative experience. Your comments have been noted by our product photographers and designers for a solution. I totally agree with Becky. Will check back in a couple of months to see if any improvements have been made. I agree with Dave, who wrote in January of 2018. I would love if the air would not blow at all toward my eyes! You may want to try adjusting the position of the mask on your face slightly. 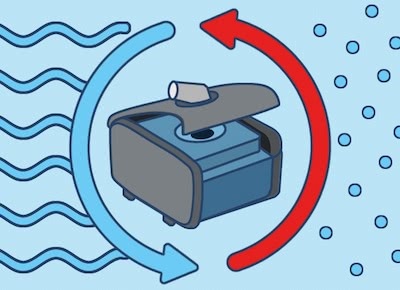 Little shifts can make a big difference when it comes to blowing air. My CPAP machine is a ResMed S9. What function do the settings pillows, nasal, and full mask change the way the machine provides air pressure? What do the different settings actually do? I switched to Sleepweaver masks a few years ago. I tried going back to another mask one night, (actually less than an hour before I couldn’t take it anymore).. I was miserable. I’ll never make that mistake again. No Sleepweaver mask, no CPAP therapy for me. Would be useful to comment on how the various masks work with beards. What’s the best full face mask? Hi Anna, while masks are very personable since all face structures are different. I have linked to you a few of the most popular masks also, we would be happy to assist you in selecting a mask that may best fit you, but this will require us to ask you a few questions. You can reach us at: 1-800-356-5221, please see the link below for a few mask options. I hope this helps and we wish you the best! i was wondering how difficult it is to adjust the TAP PAP each night.. ive read reviews on problems with leaking…. the mask shifting bc there are no straps…. does it cause teeth pain from having the mouth guard? Hi Kelly, each person is different, but if you would like to try one of the TapPaps for yourself, we offer free returns within 30 days if you do not like the mask for any reason you can receive a refund, or select a different mask. You may also find interest in a different mask which is very popular with our customers. Please see the link below for information on this mask. I hope this information helps. For further assistance we can be reached at: 1-800-356-5221. Hi Thomas, I am sorry to hear that you are having some problems with dry mouth. Please make sure that you do not have any mask leaks. Be certain that you are changing out your full face mask cushion every 3 months for most masks. Also, if you are using a heated humidifier, I would recommend that you increase the humidity a little to see if this provides some relief. If you are not currently using a humidifier, you may want to get one and this may provide some relief to the problem that you are having with dry mouth. For further questions, or concerns please feel free to reach us at: 1-800-356-5221, or email us at: cpap@cpap.com. I hope this helps, have a great day!